A little over three years ago, when The Residency hotel started their retro Hindi karaoke night, there werena��t too many footfalls. But today, in its 150th week, Jaya Ho has a loyal fan followinga��both in the city and outside. a�?Guests who heard us by chance when they were in the city on business now make it a point to travel down to hear us sing whenever they can,a�? begins Jaya Rajagopalan, who takes centrestage every Friday night, with fellow singer J S Shekhara��a businessman and aficionado of Kishore Kumar and Mukesha��s songs. Clarifying that they call their show a�?karaokea�� because they sing to minus one tracks, the playback singera��who has sung in over 50 Tamil films, including Vallamai Tharayo and Naan Avan Illaia��reminisces how the show came into being. a�?Charles Fabian, the general manager of The Residency, had attended one of my public shows. He then approached me to help him set up a musical night with a difference, as there were no dedicated retro nights back then.a�? Rajagopalan believes their USP is their song selection. 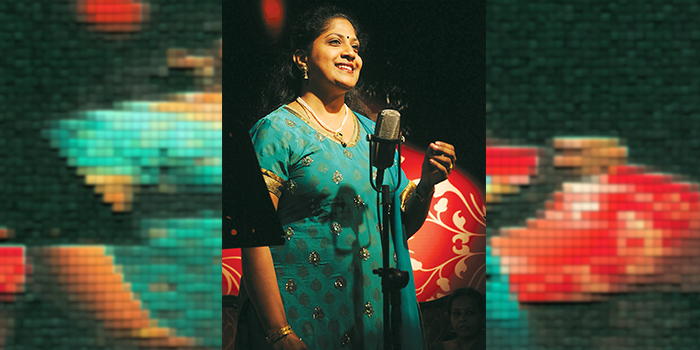 While most singers would do a Chura liya, they would choose a slightly rarer Dil ki nazar se. a�?We perform around 35-40 songsa��from the 50s to the 90s and the noughties. Wea��ve also done several themed nights around composers like Laxmikanta��Pyarelal and SD Burman, singers like Lata Mangeshkar and Asha Bhosle, and actors like Rajesh Khanna and Dev Anand,a�? she informs. For their 150thA�performance, they expect over 150 people to attend and plan to take up a lot of requests.